Everyone is mesmerized by the iconic style of the renowned Hollywood celebrity Jane Fonda. She shows with her very own example that a lady remains a lady, irrespective of her age. No matter how old you are, you can always look like a stylish lady or a charwoman Like Jane Fonda does. Her selection of multifarious hairstyles makes her look gorgeously young even for a woman of her age. Here a few of the tasteful hairstyles of the extraordinary star Jane Fonda that you can try out. View yourself with this classy Jane Fonda hairstyle. You can give an elegant appeal to your hair through back flicks with curvy side bangs. You need to smoothen back the shag and create a wavy texture for getting curvy side bangs. It’s time to feel young and peppy with the curly and shaggy hairstyle. She has totally rocked Coiffing her bonnet into her trademark voluminous curls. You need to see to it that some locks of your hair are curled to your face and the remaining are flicked towards the outside for a shaggy look. The chosen hairstyle is also an example of fancy and fab look. You can look classy and cute at the same time with the curly hairstyle. You should make sure that the curls are extremely textured and consist pearly highlights. 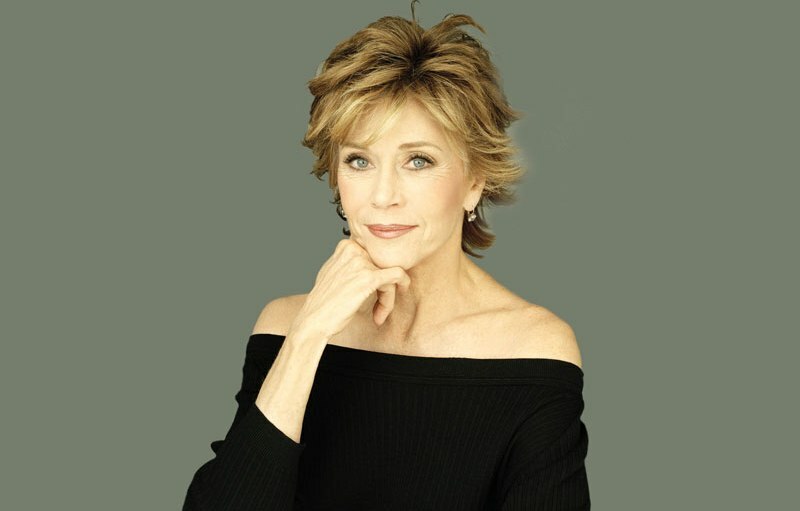 If your hair is thick you can surely copy Jane Fonda’s this signature haircut.Get an extremely professional look with a dark blonde short hair. It gives you an effortless style that requires low maintenance but looks very ravishing. 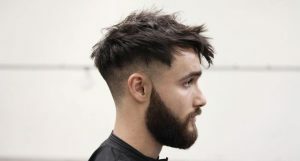 This style is very easy to maintain with regular trims. Win a flattering appearance with the graded straight bob. You can easily make this classic and stylish bob cut. Make sure that the layers of your hair have a shattered texture but there is a roundish outline over the face. Short hairstyles are ideal for any age and specially for an older women. Here is a versatile hairstyle that suits any age and any occasion. The highlighted short hair will give you a lively vibe with its perky short flicks. Brighten up the environment wherever you go with the regal look offered by a layered formal hair. This haircut provides you an added volume and ensures that the texture of your hair has defined layers arranged in a magical style. Jane Fonda looks lovely and elegant in this beautiful haircut. Gift yourself a special appearance by sporting a layered hairstyle with curly bangs. You need to ensure that your hair is textured well and has face framing and curly side bangs. Flaunt your thick hair through the light brunette short hair with layers. You need to make sure that the layers are perfectly cut in order to provide a soft framing for your face. Direct your manes into position while applying the finishing products. This hairstyle is cool option for any special occasion and is best suited for ladies with long face shapes. Jane Fonda is a style icon and mostly all the ladies loved and admired her fashion and styles. Appear uniquely spectacular with light brunette short hair. The short length will help your hair look thicker and it will not obstruct your face. This hairstyle is great for any party or event. This Jane Fonda Hairstyle is one of the coolest example of long blonde hair with bangs. Embrace an attractive and elegant look by having this ultimate haircut. Bangs have a way of giving a youthful look. Just see that the long hair is complemented with bangs which are styled away from your face. You can adopt the iconic look of Jane Fonda from the 70’s with long feminine layers. You need to make sure that the long locks are flowing and have a soft texture. Try this classic hairstyle for your next diva look. Look especially striking with the medium blonde hair. You can add elements of steep waves along with a decent lift at the roots for a special effect. This gorgeous hairdo is perfect for any special event and can be worn in many different ways. You can turn the heads at any occasion with the stunning medium straight blonde. The bangs are swept across to the side to soften the face and finishes the over-all hairstyle magnificently. You may even twist and pull back the hair for a dramatic feel. Jane Fonda wore this nice looking haircut at a screening of FTA. You can be the showstopper with a medium wavy hairstyle. Just make sure that your hair is cut at a medium length and is highlighted with soft blonde waves to generate an impressive look. Look chic and fancy with the gorgeous messy curls style of Jane Fonda. Arrange your whimsical curls into a mess and highlight them with two different shades of blonde. Believe us this is a fabulous way to wear messy curls. Garner a touch of modernity with a messy laid back pixie. It requires very less maintenance and gives you a dashing appeal. This is easy and very less difficult cropped hairstyle that looks appealing and classy. You can play with the textures and shapes of the beautiful locks of your hair with a shag hairstyle. Make sure that you boost the volume of hair on the crown and complement it with wispy flicks around the face. You can wear this coolest hairdo anywhere anytime. Jane Fonda styled her hair brilliantly for the 85th Annual Academy Awards.Display your hair with grace through a short blonde haircut. You can rock the style with shaggy flicks which will add volume to your hair. Here is a simple and low maintenance modern hairstyle for everyday. Demonstrate your absolute perfection in style by opting for a short curly laid-back hairstyle. You have to make sure that the flicks of your hair are curled backward to gain this look. You will surely adore this style statement haircut wore by Jane Fonda. Create the statement hairstyle of Jane Fonda for yourself with a short layered formal hair. Make sure that the hair is finely layered right from the roots so that your hair looks thicker. Choosing this dazzling hairstyle will make you look trendy and believe us few heads will surely turn at you. It’s time to add splendid details to your hair with short layers. Make sure that there are subtle highlights and swirly bangs. Craft a soft and superb visage by selecting shoulder-length tresses with bangs. You can add some layering and see that the bangs hang distinctly to get an overall style. Look very young, active, and energetic through a sleek and straight hair with a headband. With the help of styling products, you can obtain a straight hair with a good shine. Pairing it with a headband will offer you a bubbly image. The actress attended the 2016 Golden Globes with this charming hairstyle. Get the hairstyle with universal appeal through a sleek and straight hair. You can add a generous quantity of styling products to provide extra shine and get a feathered finish. Here you see that Jane Fonda wear a hairstyle which looks absolutely stunning.Gain an exquisite appeal with sleek side bangs. You have to make sure that the bangs are styled straight down at the side. Spikes will always add spice to the hairstyle, and here is the great example of it. Achieve a stunning and sassy look by sporting spiky layers. You can get the spikes with a razor layering and provide them with two-tone highlights to look fantastic. If you want to look as elegant as a queen, then you must check out the style of textured locks. It provides a touch of soft feminine lines and holds the shape of the layers very well. This haircut can be coupled with pastel color to finish the look. Jane Fonda haircuts always makes her look sophisticated and classy.Are you in the quest for a perfect hairstyle for a memorable evening? Then, choose tousled blonde locks. You have to make sure that the locks are given a mussy outlook and the bangs are highlighted. Add a peppy and cute vibe to yourself with lots of voluminous curls. You need to make sure that your mane is filled with fluffy curls. This cut is somewhat different from her regular styles. So ladies what are you waiting just opt this glamorous style and look fab. You can look as breathtaking as Jane Fonda by sporting any of her refreshing looks that reflect a happy image.